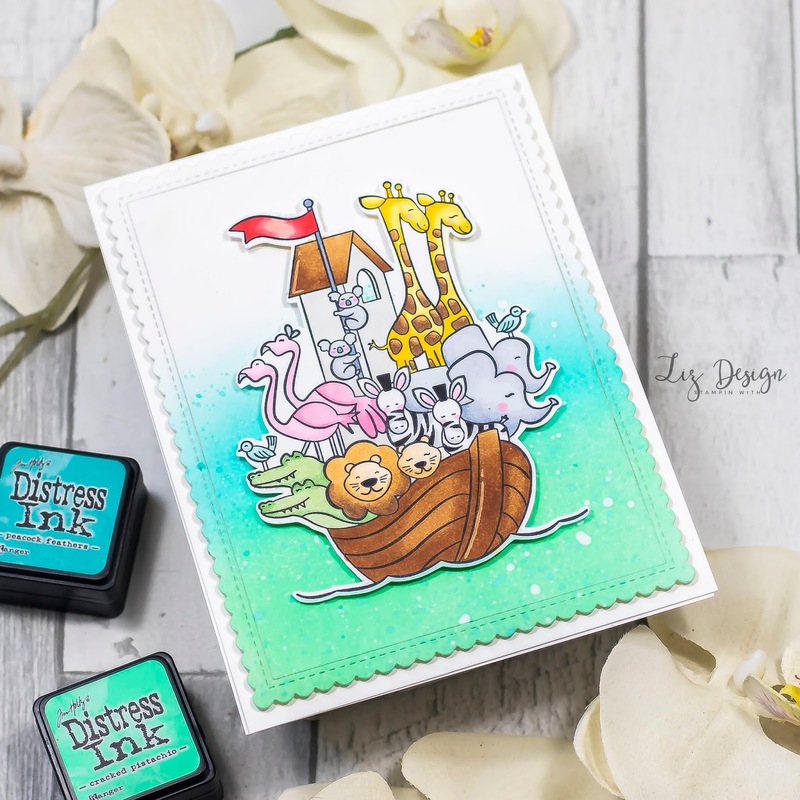 Stampin with Liz Design: Stampin with Liz Design: Perfectly Paired Card! Hi everyone! 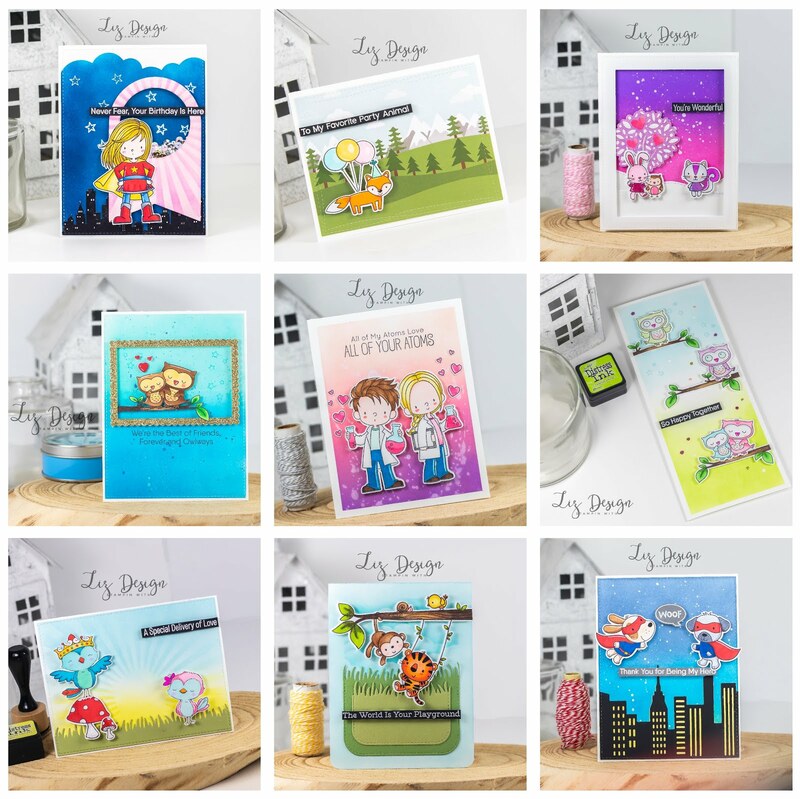 Welcome to my new blog post today! 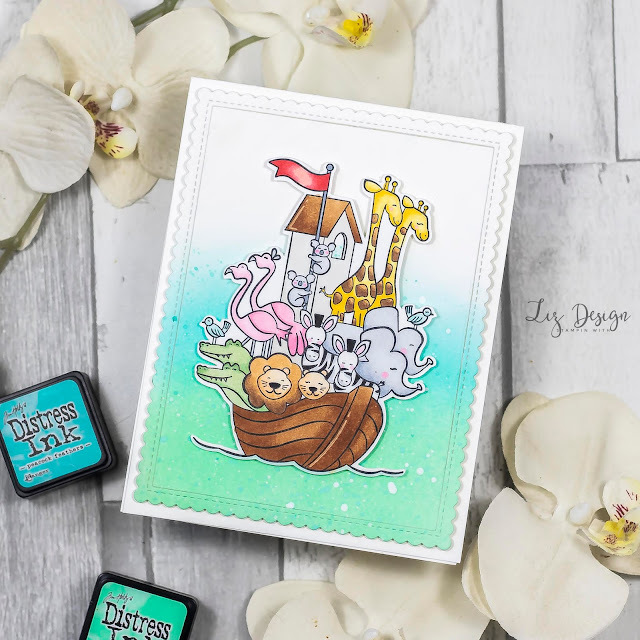 I'm sharing a boat full of fun today! 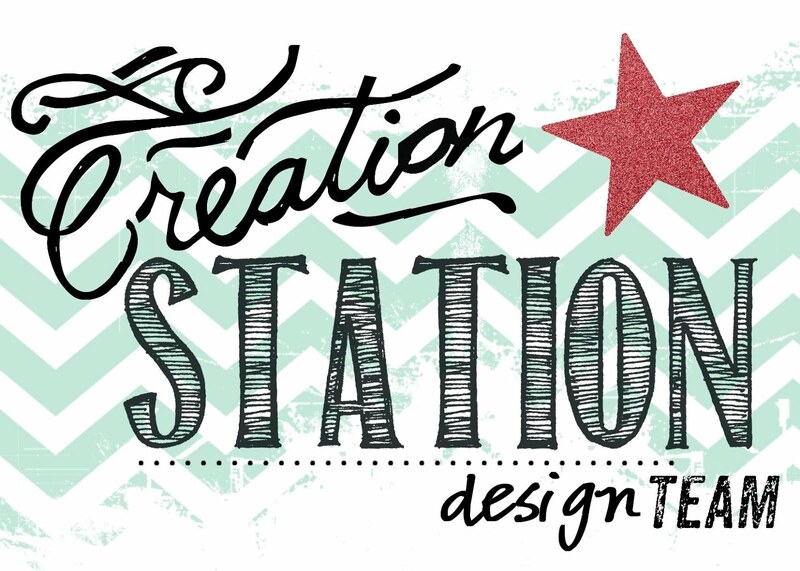 I had a lot of colouring fun with the amazing Perfectly Paired stamp set from Stampin' Up! 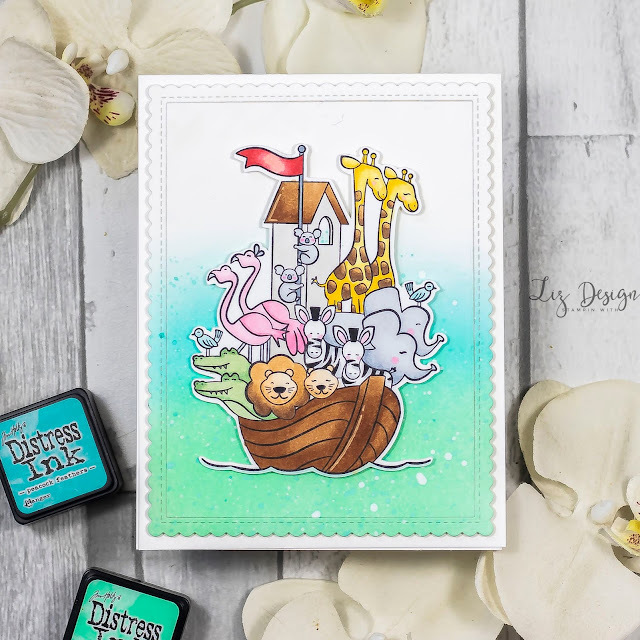 This stamp just needs some markers to shine, it is card filling with all the cute animals! I started this card with a base in A2 size that I created from Thick Whisper White Cardstock. 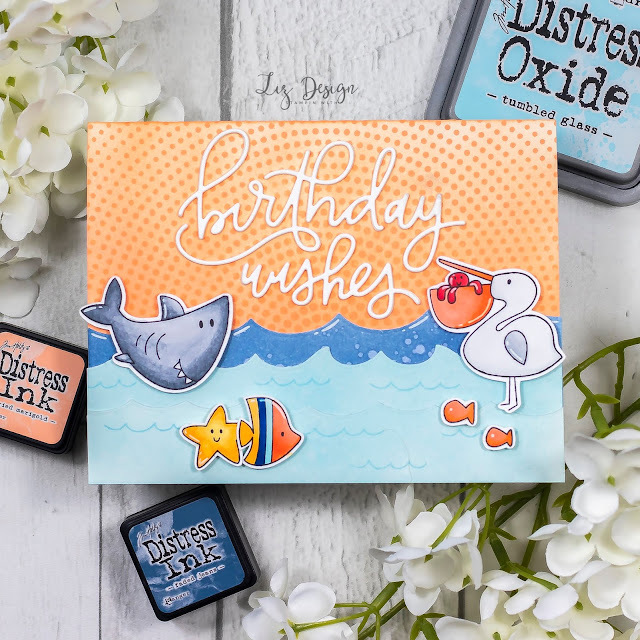 I love this stirdy cardstock as a base. I then diecutted a front panel with the largest die from the Stitched Rectangle Scallop Edges Frames Die-namics from My Favorite Things. I then blended the front panel with two colours of Distress ink, Peacock Feathers and Cracked Pistachio, using a blending tool. This technique is so much fun. Ink up the sponge part of your blending tool and go about applying the ink to your paper with round movements. I added some spatters with Peacock Feathers ink and white paint. I added the front panel with dimensionals on to my card base. I then stamped the image from the stamp set using a stamping tool. There are no dies coordinating with this set, I diecutted the image with my Scan' N Cut machine from Brother. I coloured the image with Copic Markers and then added the finished image with dimensionals on to my card. I'd like to send this card in to the new running challenge at Global Design Project! Echt een super leuke kaart, Linda!